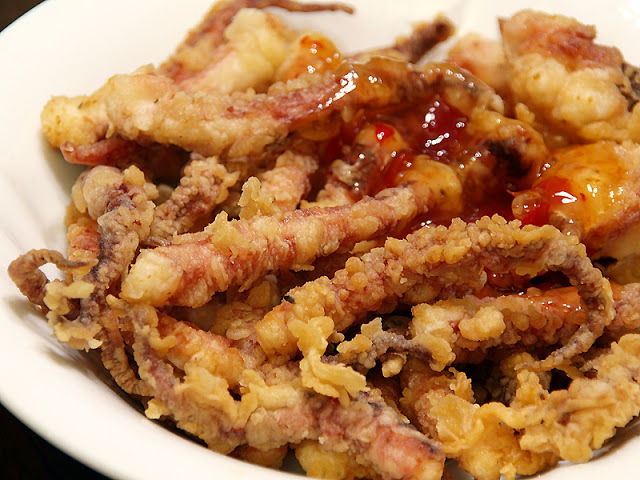 Here is a simple and easy to follow crispy squid recipe. I can say that this recipe is perfect for all occasion. 7). Place in serving plate and garnish with lettuce and vegetables. Enjoy your crispy squid! This is best serve with dipping sauce of choice (e.g. mayonnaise, chili sauce). Note: Image above may vary from the end result of this recipe.